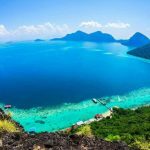 3 best tourist destinations in Malaysia - Living + Nomads – Travel tips, Guides, News & Information! 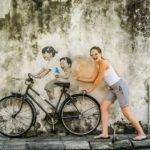 People who have traveled to Malaysia often describe this country as a perfect combination of the busy and bustling Thailand and the green and clean Singapore. 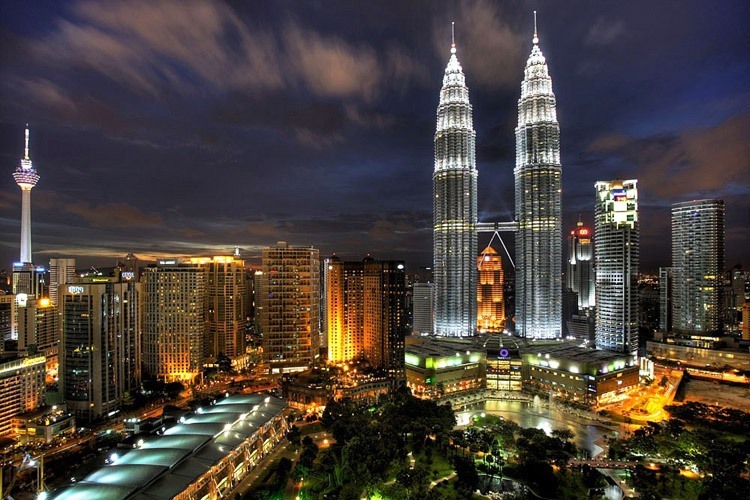 Malaysia has many destinations for tourists. 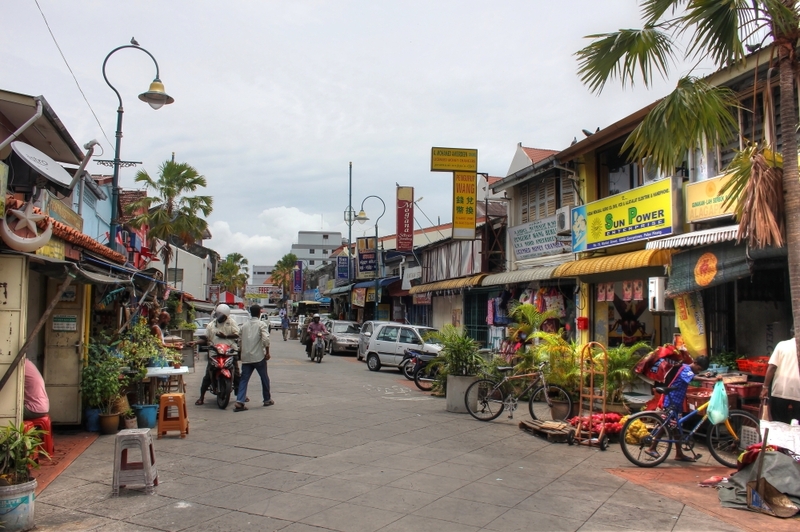 However, if this is the first time you’ve come here, then experience the natural beauty, the culture, the food and life of local people in 3 places which have been considered the most famous and unique in Malaysia: Penang, Langkawi island and the Malaysian national capital city Kuala Lumpur. Source: No Rest For The Weekends. 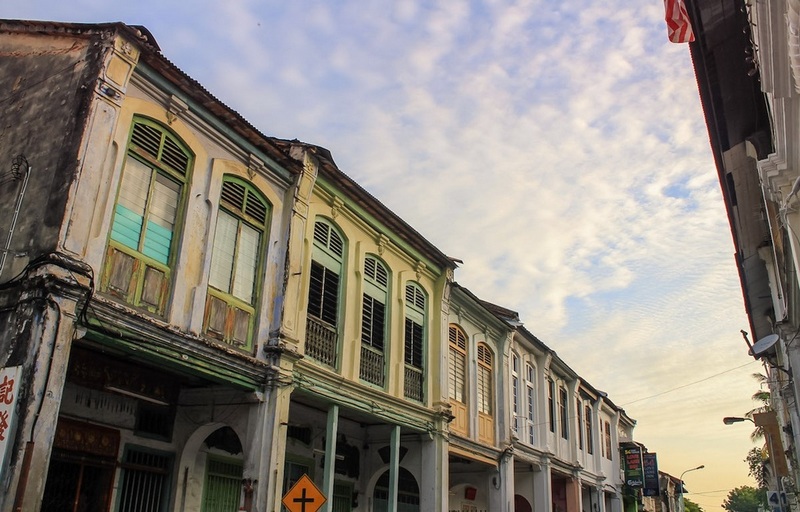 George Town – the capital city of the Malaysian state of Penang – is listed as one of the places you should not visit if you are in diet by UNESCO. 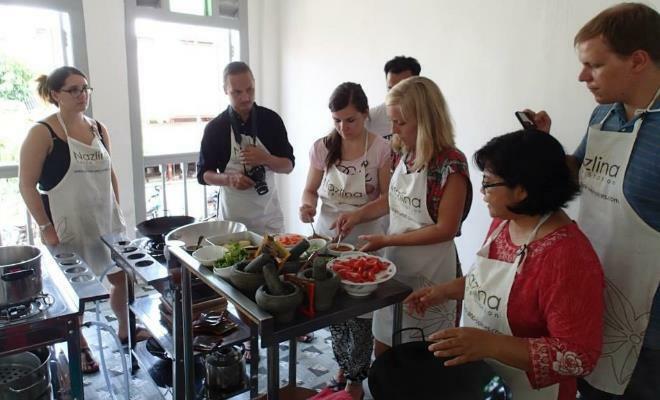 The reason is that you will not be able to resist the delicious and unique specialties here. 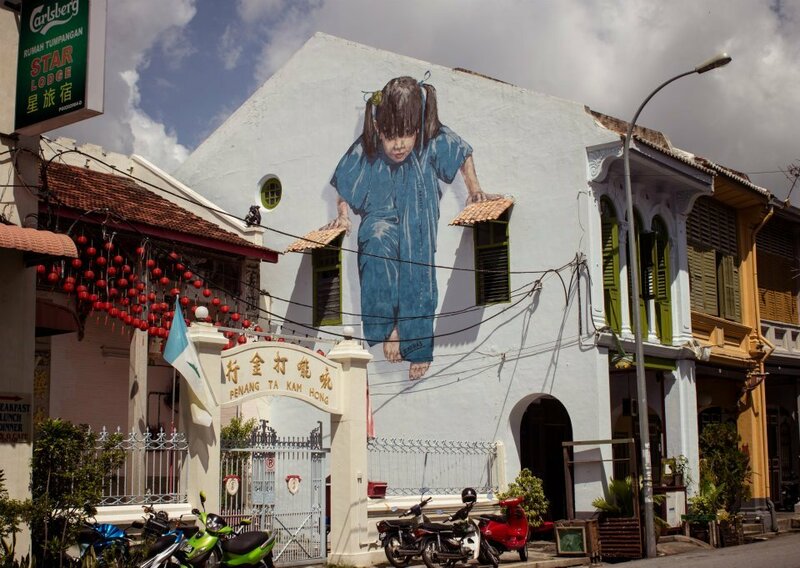 Finished wall painting at Muntre 47, George Town, Malaysia. 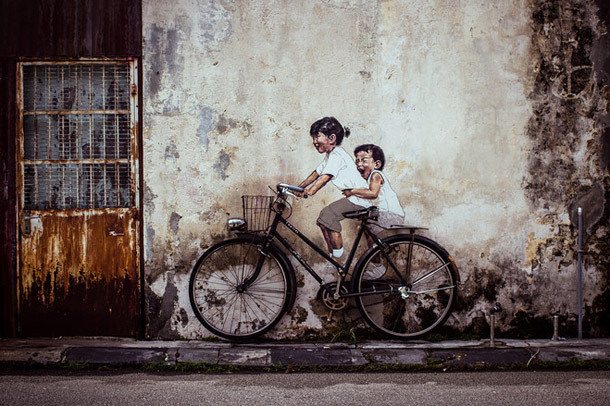 Source: Ernest Zacharevic’s official Facebook page. 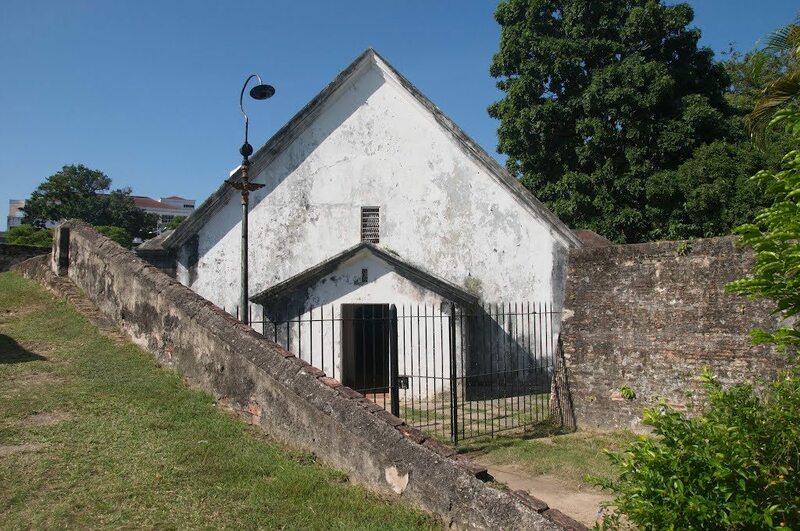 Colonial buildings in George Town. Source:thepoortraveler. 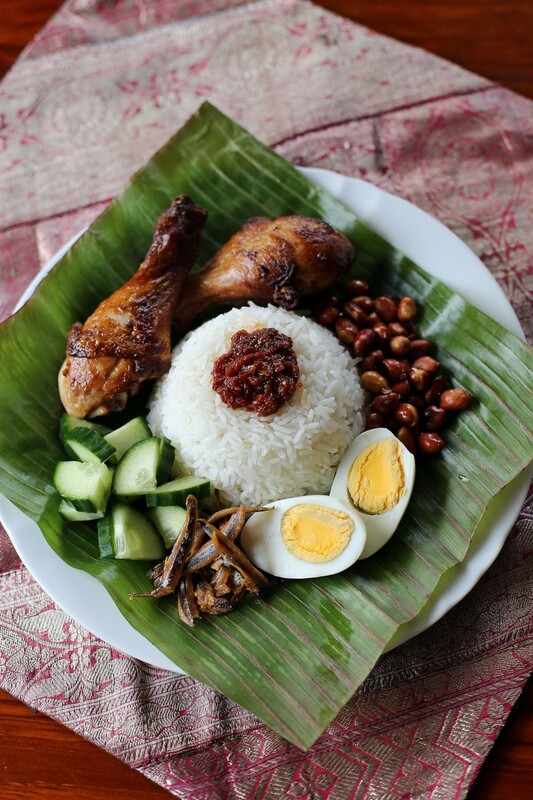 Spending one day visiting George Town, you will have chance to enjoy the local dishes such as Nasi Lemak, laksa, Char kwey teow noodles… You can even come to Nazlina Spice Station to join a basic cooking-Malaysian-dishes class which can last from 3 to 5 hours. 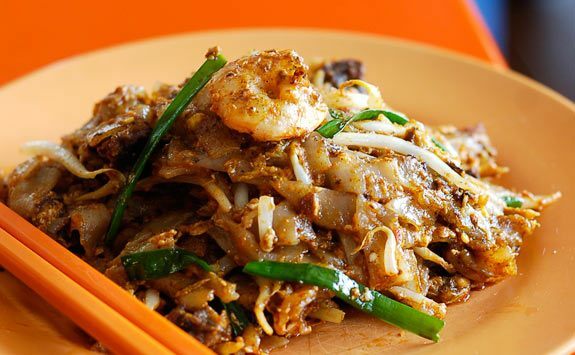 Char kwey teow noodles. Source: dulichmalaysia.info. 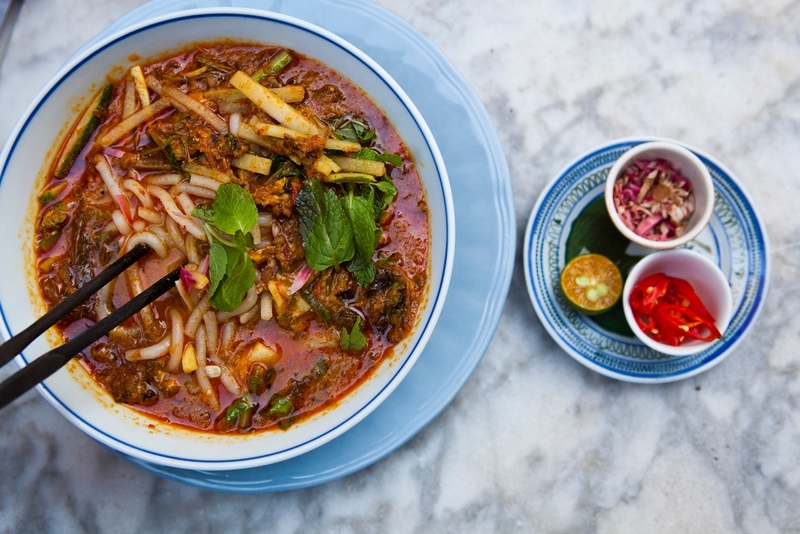 People are learning how to cook a Malaysian dish. 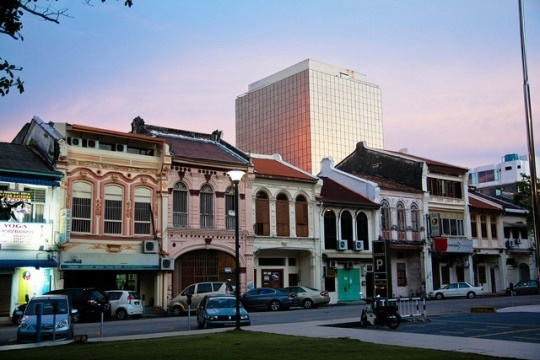 Source: mypenang.gov.my. This road is an ideal place for those who like to walk. 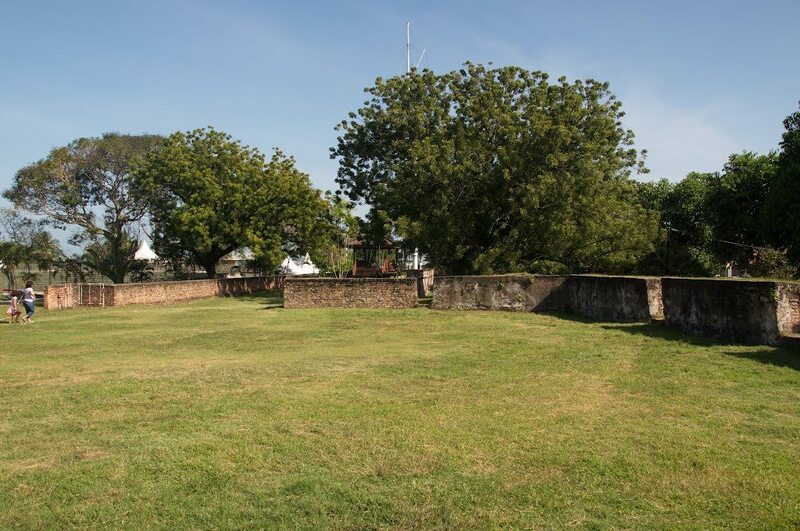 Here, there are dozens of historical sites, from ancient British-style mansions to architectural buildings in Malaysian, Thai and Indonesian styles. 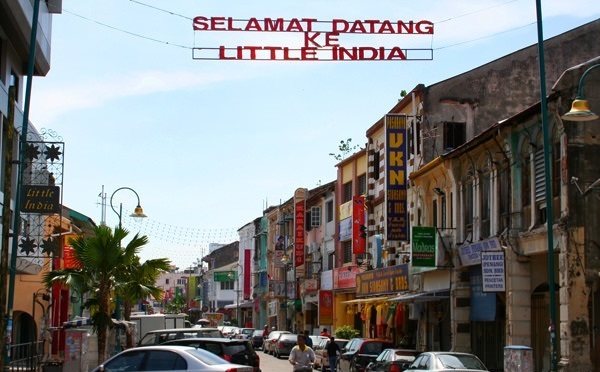 In addition, there are also the Kapitan Keling Mosque, Little India, Armenian street and Fort Cornwallis. 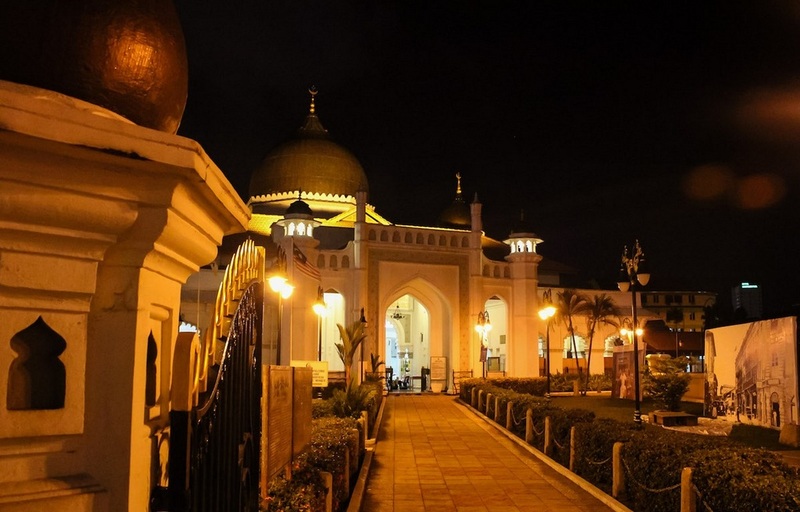 Kapitan Keling Mosque at night. Source: thepoortraveler. 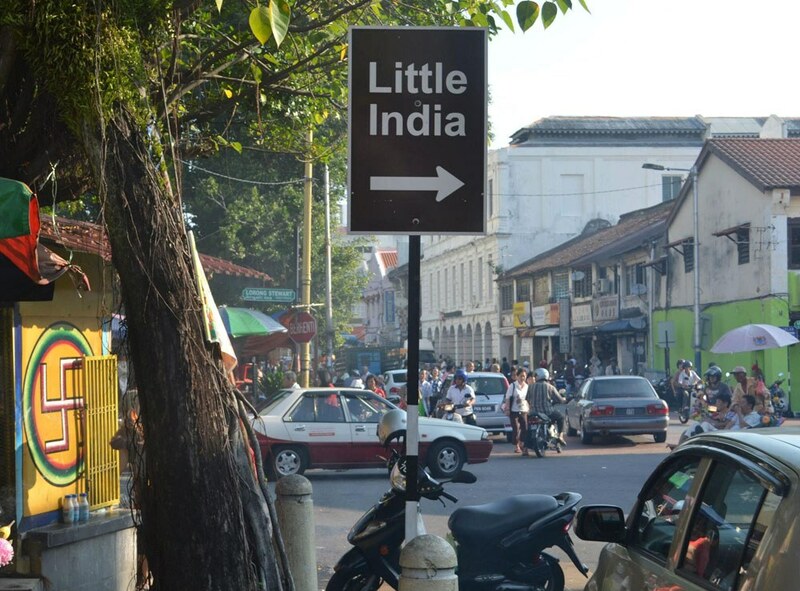 A sign shows how to get to Little India in George Town, Penang. Source: live-less-ordinary.com. 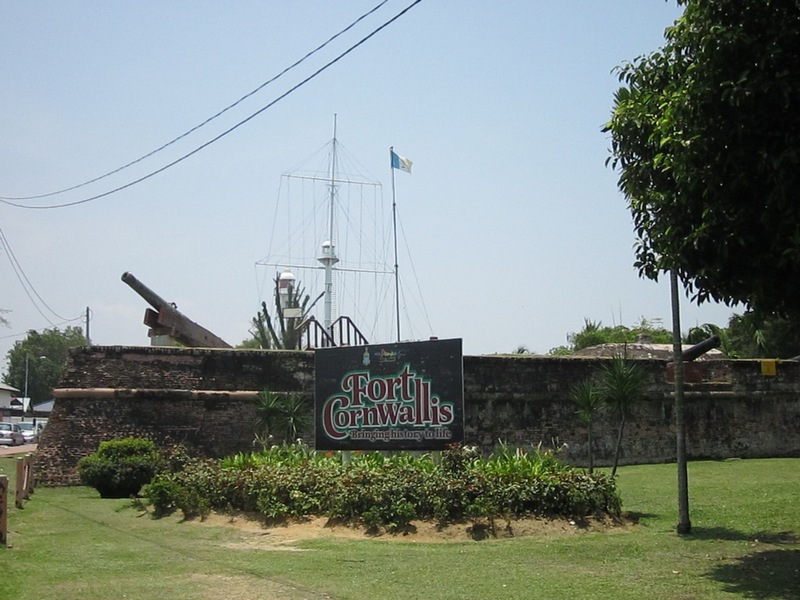 Entrance to Fort Cornwallis. Source: panoramio.com. 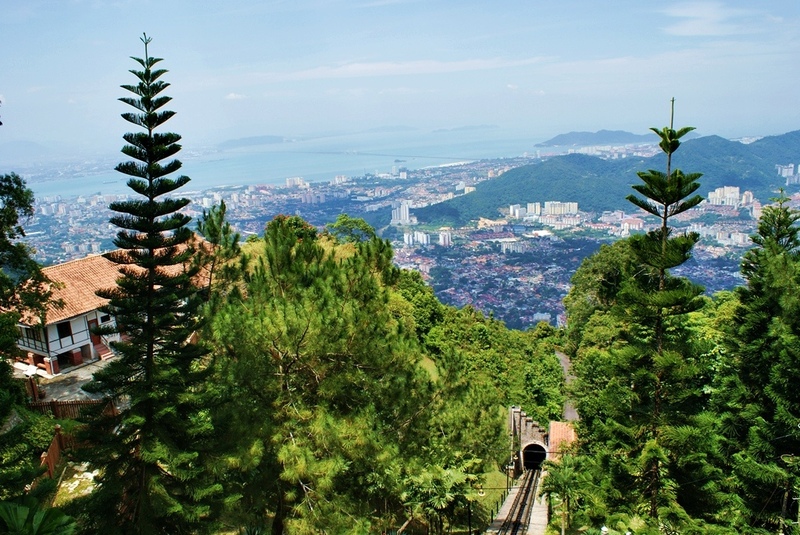 Penang hill, Malaysia. Source: flickr.com. 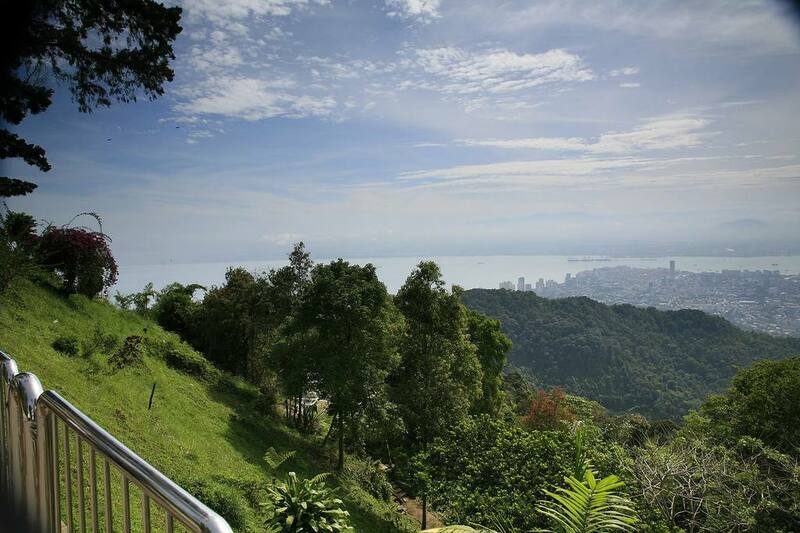 View while getting to the top of Penang hill. Source: ourvacationblog.com. 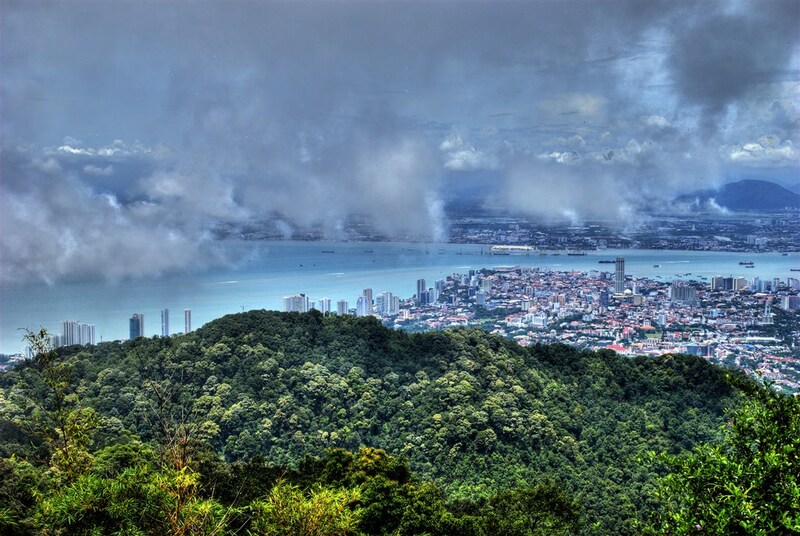 On nice and clear day, there is little cloud, you can admire the whole view of Penang from top of the Penang hill. With the height of 823 meters above sea level, the air on top of the hill is very fresh. The cool of forest, for a short time, will make you forget the fact that you are in a tropical country. To get to the top of the hill, you can choose to walk or use cable car. 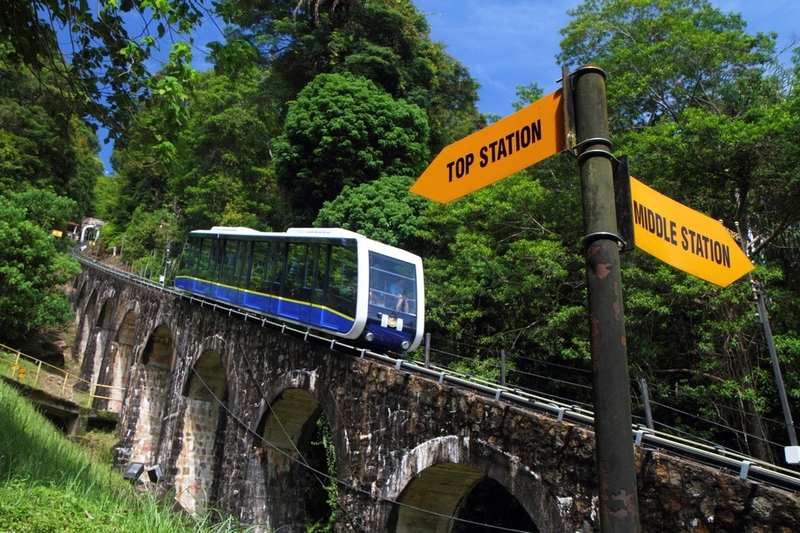 Cable car in Penang hill, Malaysia. 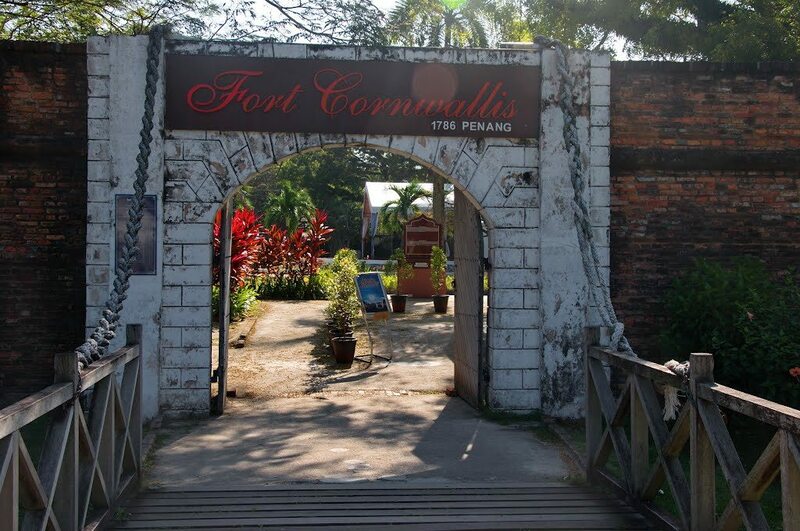 Source: topasiatours.com. 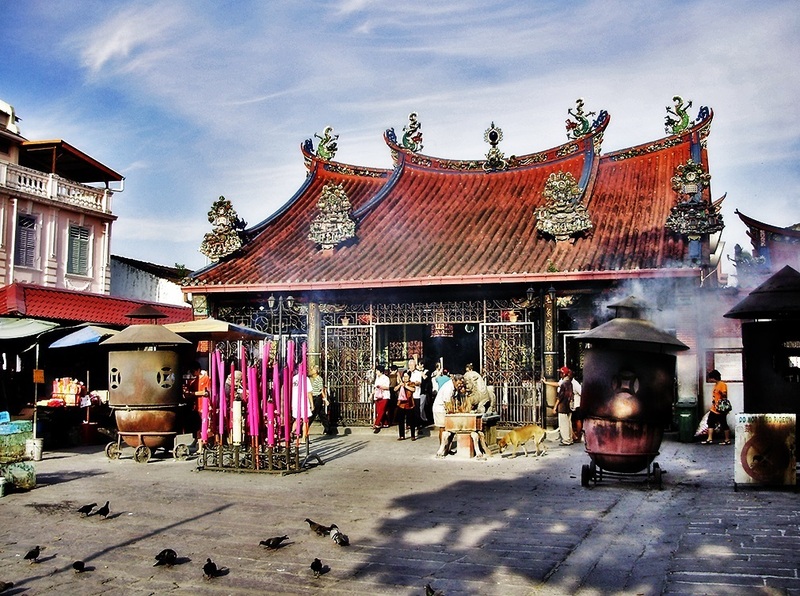 In Penang, there are several temples and famous pagodas. 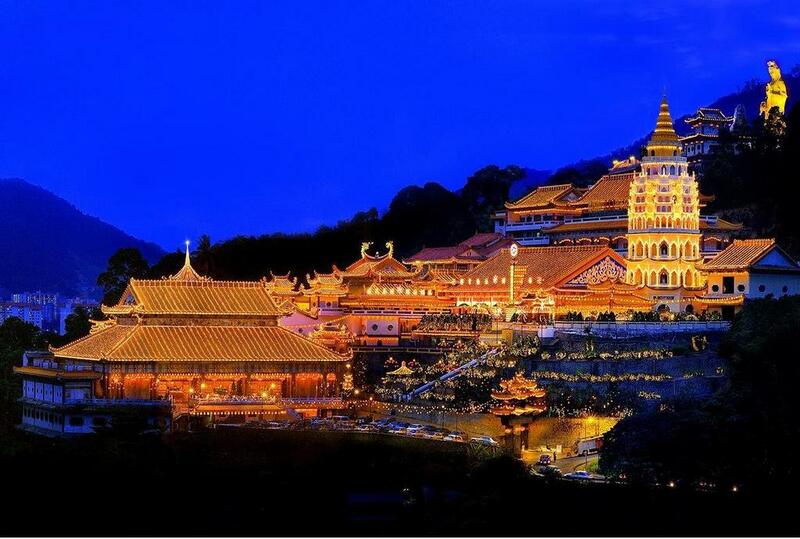 Especially, Kek Lok Si – the most beautiful and spectacular temple in Malaysia. 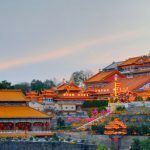 Kuan Yin temple, or Goddess of Mercy Temple) is quite famous, in the temple, there is a Kuan Yin statue with it height of 30 meters. Kek Lok Si night view. Source: exotisiv.com. 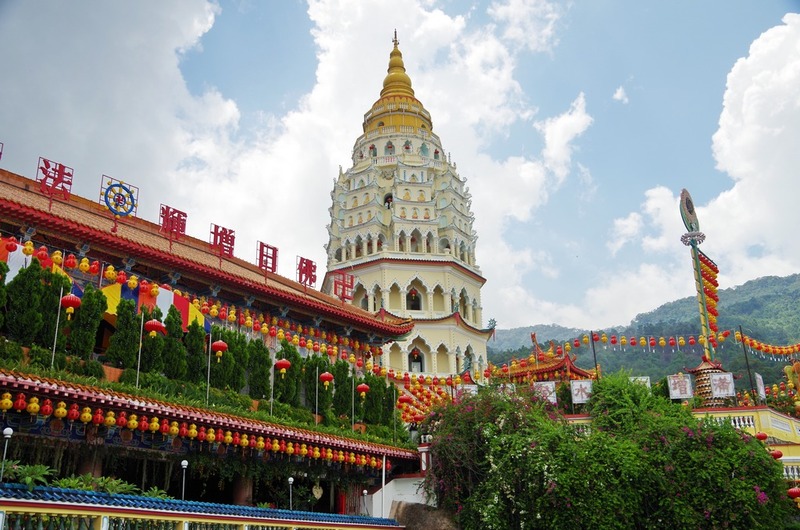 Kek Lok Si temple. Source: tohxiuling.wordpress.com. Kuan Yin temple. 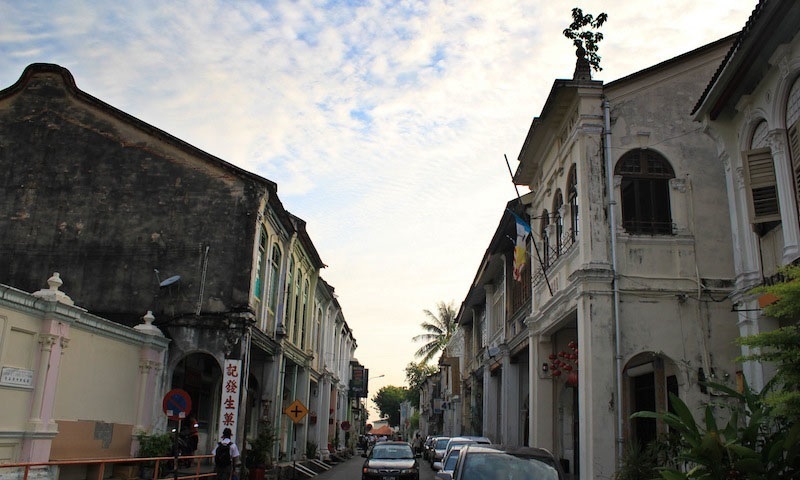 Source: travel2penang.wordpress.com. 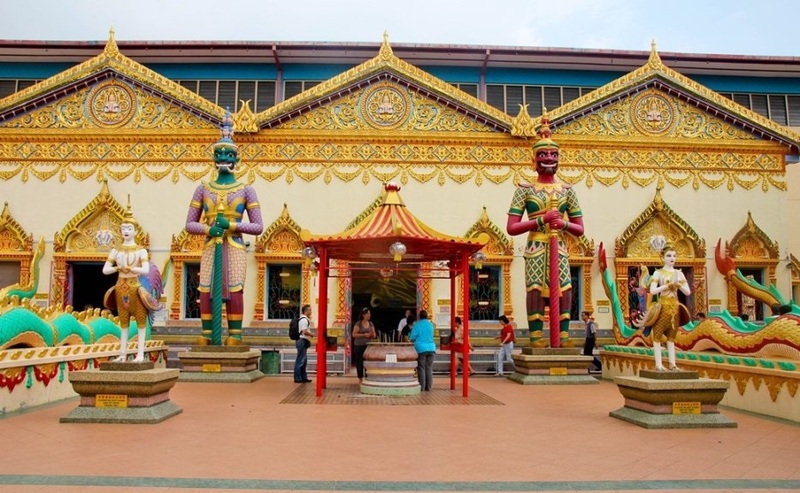 Besides, there are Thai Buddhist temple Wat Chayamangkararam – which has the famous gold-plated Reclining Buddha statue and the Burmese Buddhist temple Dhammikarama with its striking featues and unique architecture. Thai Buddhist temple Wat Chayamangkararam. Source: thechroniclesofmariane.blogspot.com. 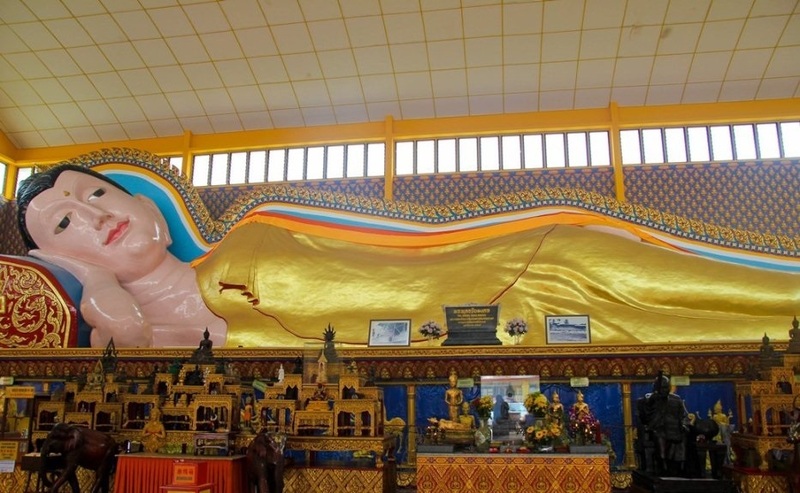 Reclining Buddha statue. Source: thechroniclesofmariane.blogspot.com. 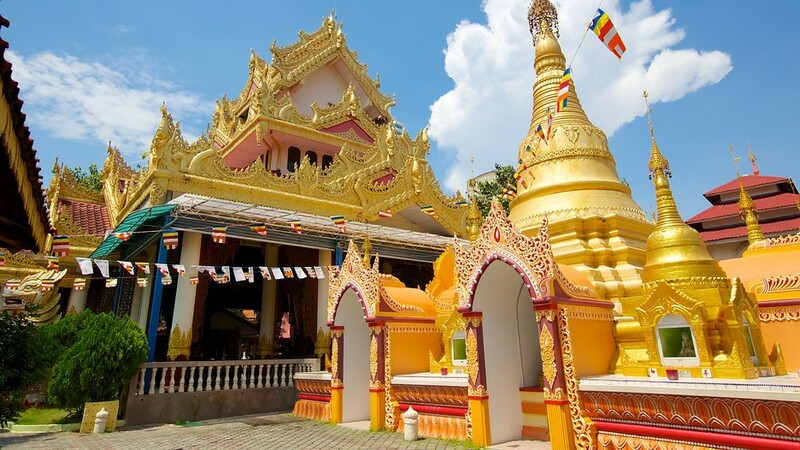 Burmese Buddhist temple Dhammikarama. Source: expedia.com. 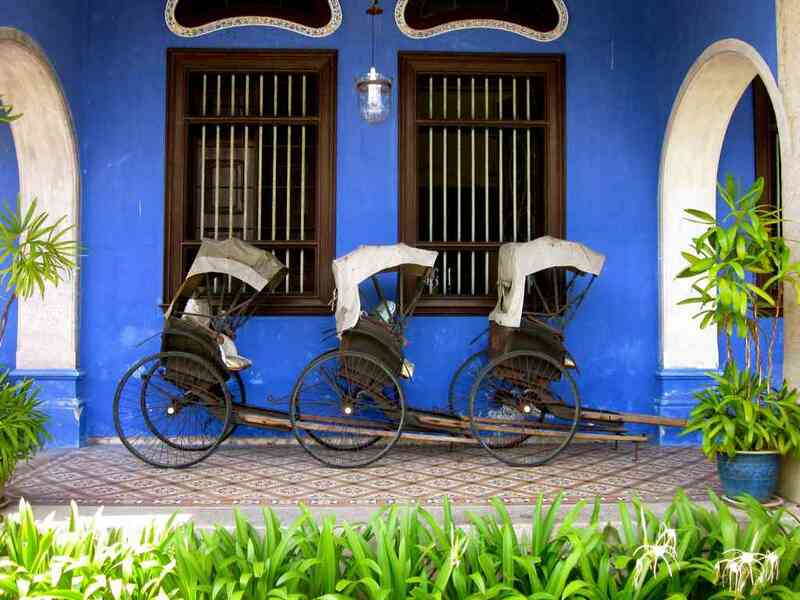 Baba Nyonya people, also called Peranakan people, are the descendants of Chinese immigrants, from Fujian province in the southeast China. 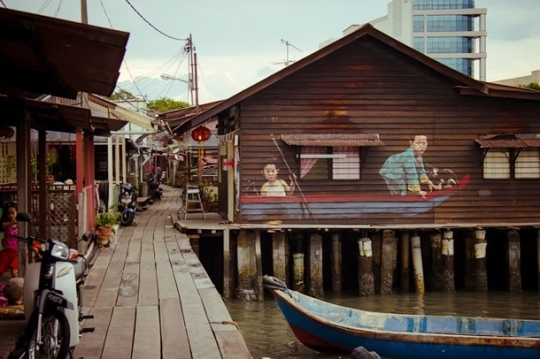 This community have many old cultural heritage and are the great pride of Penang. 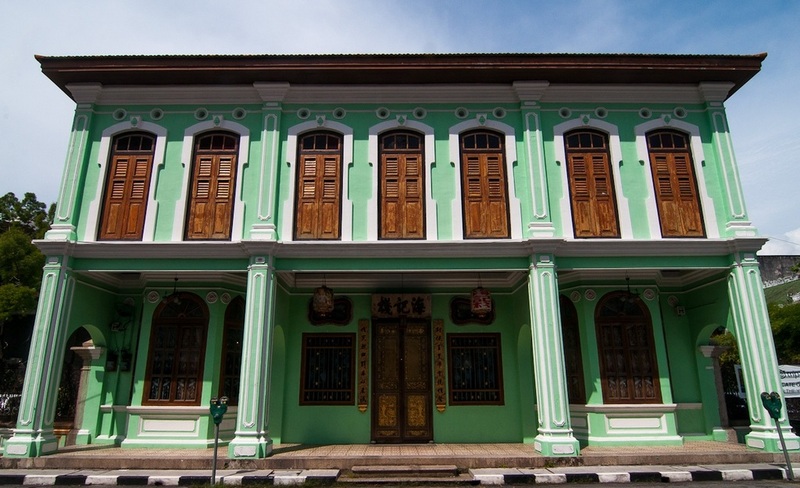 To learn more about this unique culture, you can visit the Peranakan museum. 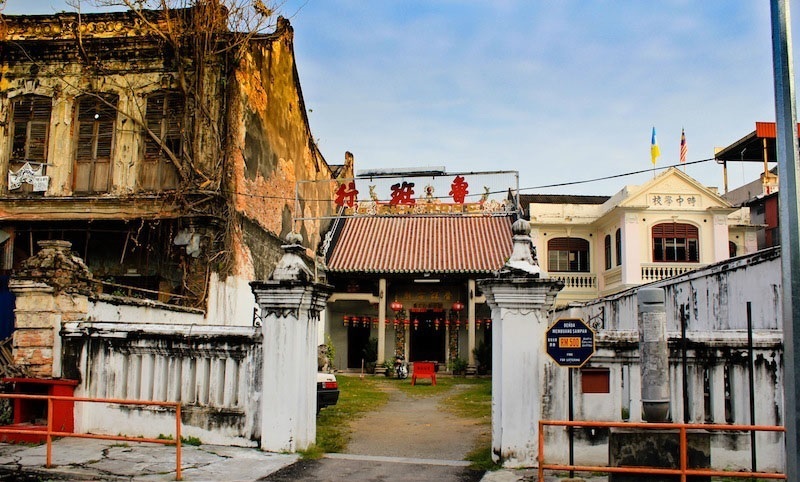 It was rebuilt on the base of a mansion which existed from 19th century of Kapitan Chung Keng Kwee – the leader of the Chinese community in Penang. 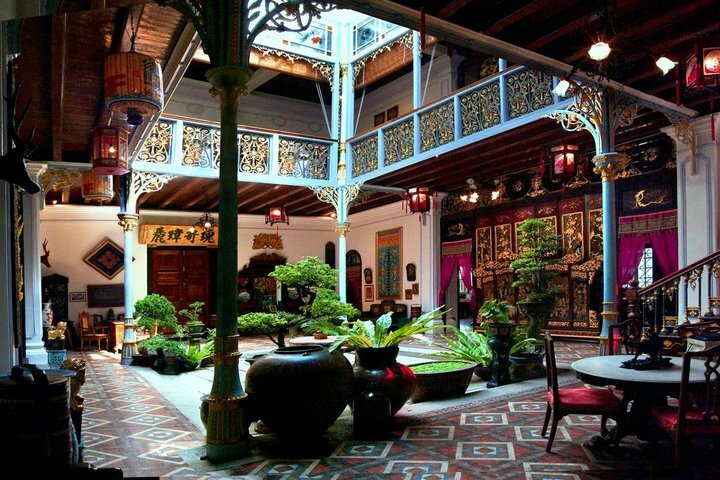 Sitting area inside Peranakan museum. Source: biscuitsandbackpacks.wordpress.com. Inside Peranakan museum. 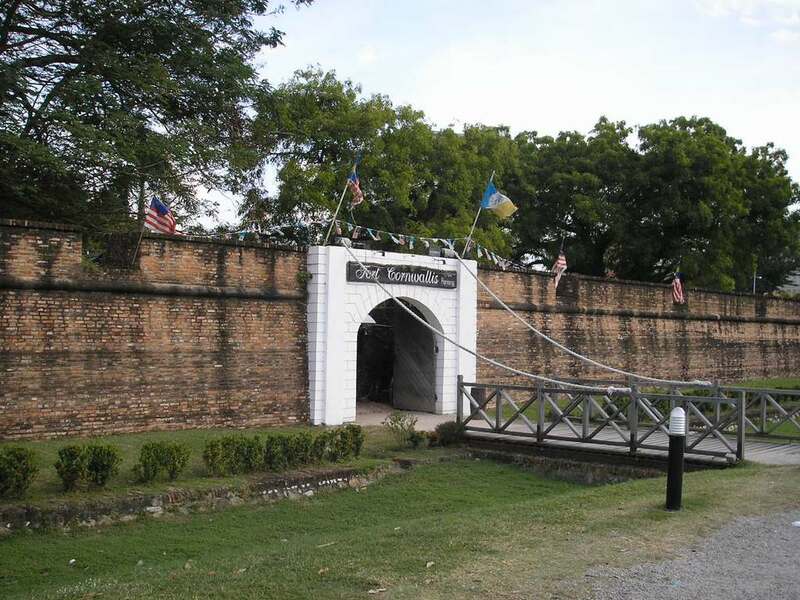 Source: penang.attractionsinmalaysia.com. 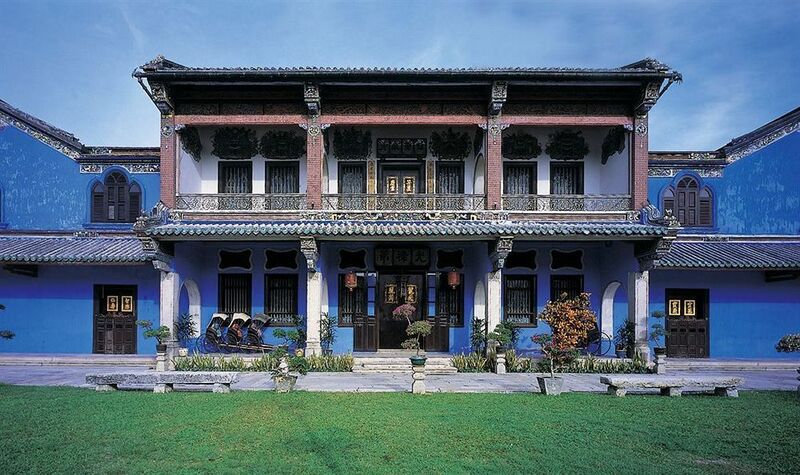 The Blue Mansion – which have been owned by Chinese businessman Cheong Fatt tze – is also a place worth visiting. The building was built in the 1980s. 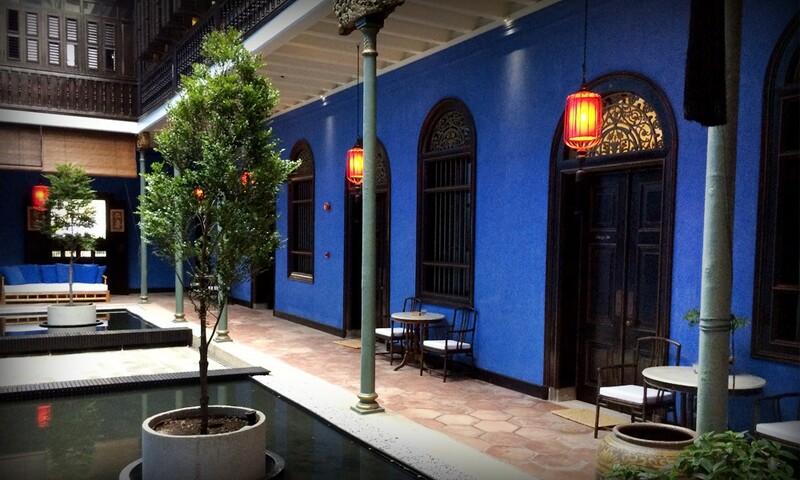 After restoration, it has become a hotel. 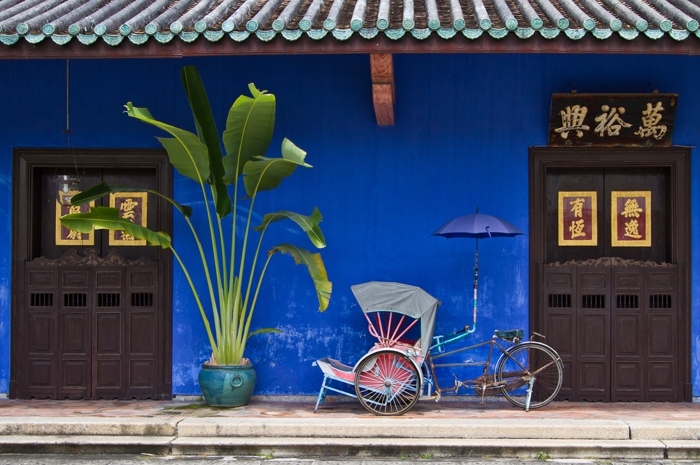 The Blue Mansion. 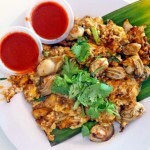 Source: asiabooking.com.vn. Inside the Blue Mansion. Source: lmschaeffer.wordpress.com. Inside the Blue Mansion. Source: foreigngeek.com. Inside the Blue Mansion. Source: thebluemansion.com.my. 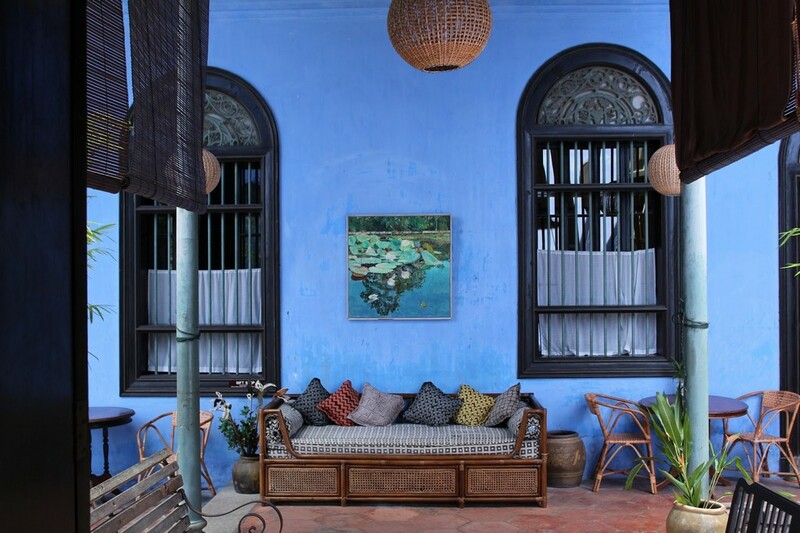 Inside the Blue Mansion. Source: transindus.co.uk. 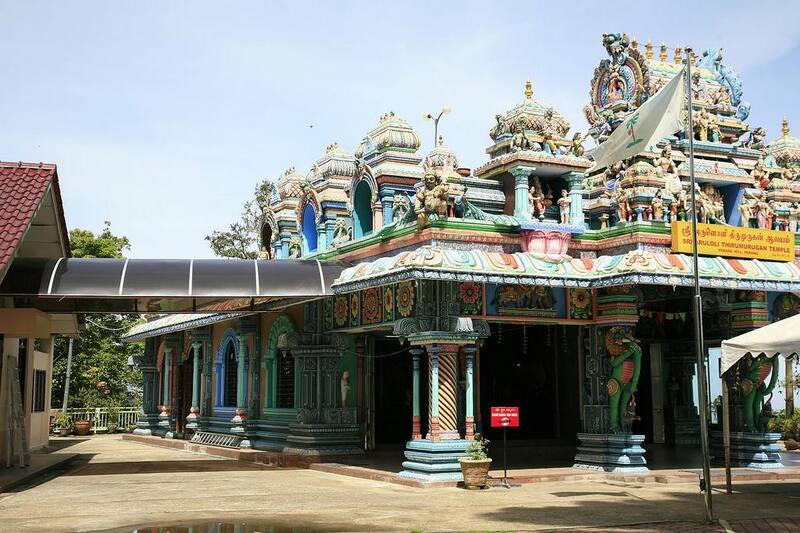 The tour to visit these heritages starts at 11:00 AM, 1:30 PM and 3:00 PM everyday. 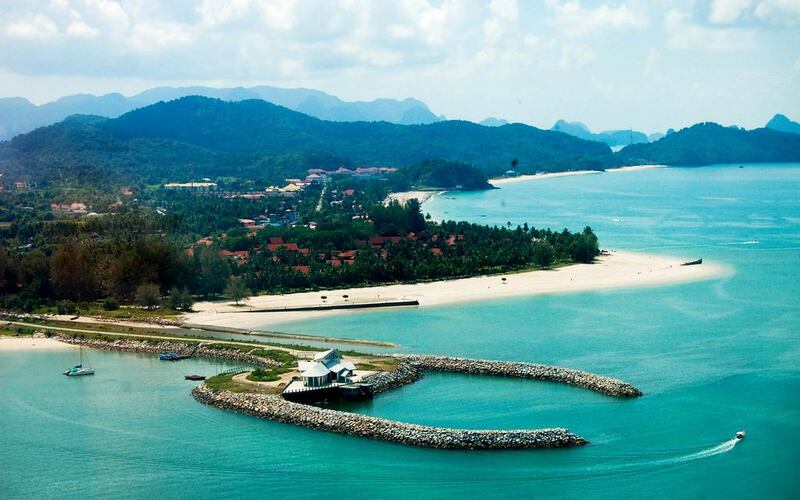 Langkawi is one of the most attractive archipelagoes to tourists in Malaysia. Most people come here not to seek noisy, boisterous parties but to enjoy the peaceful and quiet atmosphere of this tropical archipelago. 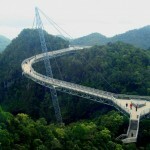 In 2007, UNESCO recognized Langkawi and its neighboring islands as Global Geopark. This means that this place not only has stunning natural scenery but also holds ecological and archeological values. Langkawi cable car. 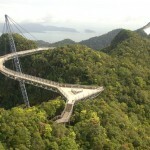 Source: naturallylangkawi.my. 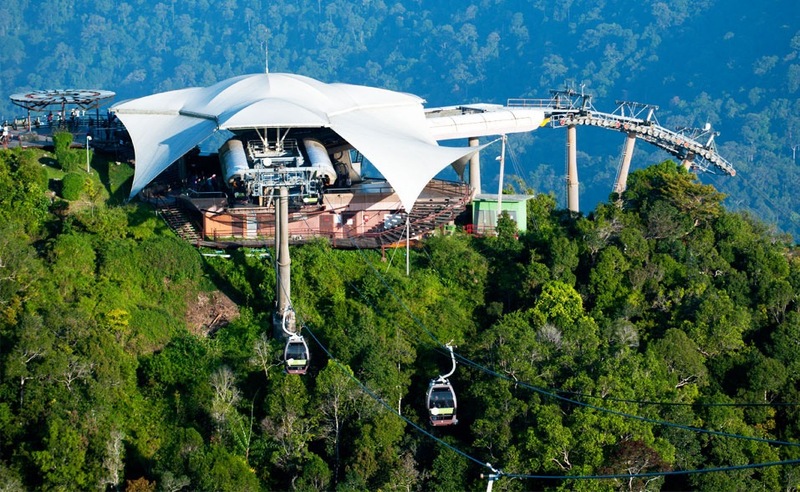 If you want to see the whole view of Langkawi, you can use the cable car system with its height of 2.2 kilometers to get to the top of Machincang mountain at 708 meters above sa level. Or you can admire the island from the hanging bridge Skybridge which is 125 meters long and more than 100 meters above ground. 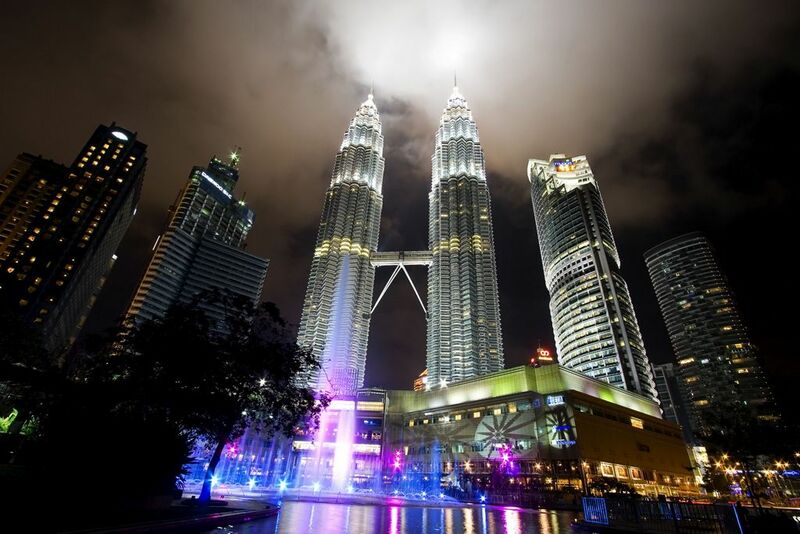 Being one of the most interesting cities in Southeast Asia, Malaysia’s capital Kuala Lumpur almost doesn’t sleep and is busy 24/7. 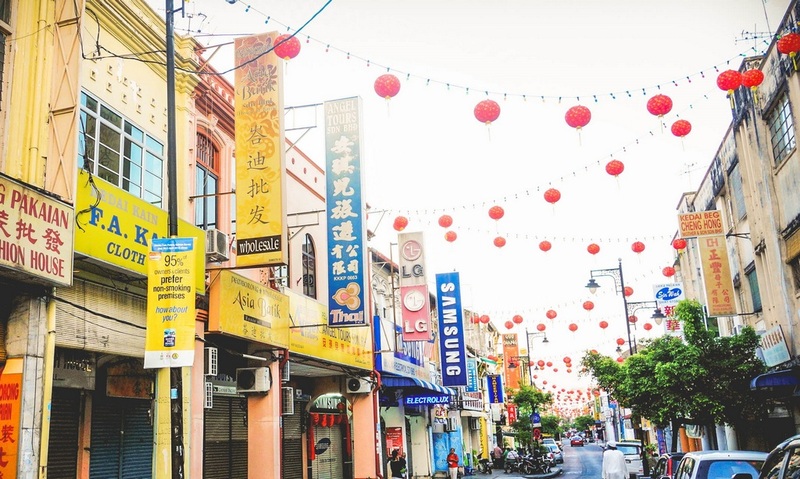 Similar to Penang, Kuala Lumpur is a diverse combination between tradition and modernity, which is clearly expressed through architecture, culture, art and cuisine. Kuala Lumpur doesn’t sleep. source: malaysia-maps.com. 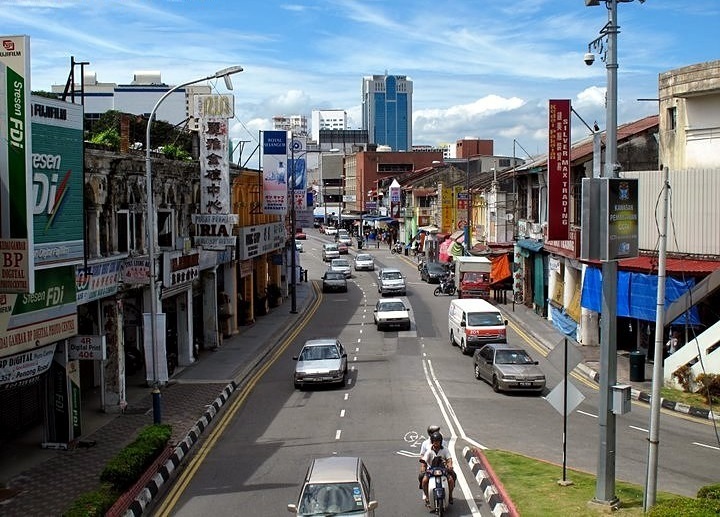 Most people said that Kuala Lumpur is just a “transit” place on the way to other tourist spots in Malaysia. However, this is totally wrong. 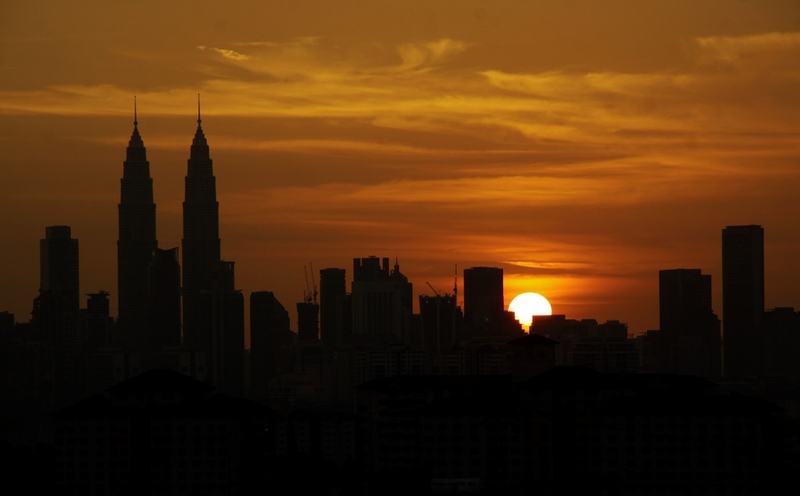 With plenty of exciting feature, Kuala Lumpur is a city worth visiting. 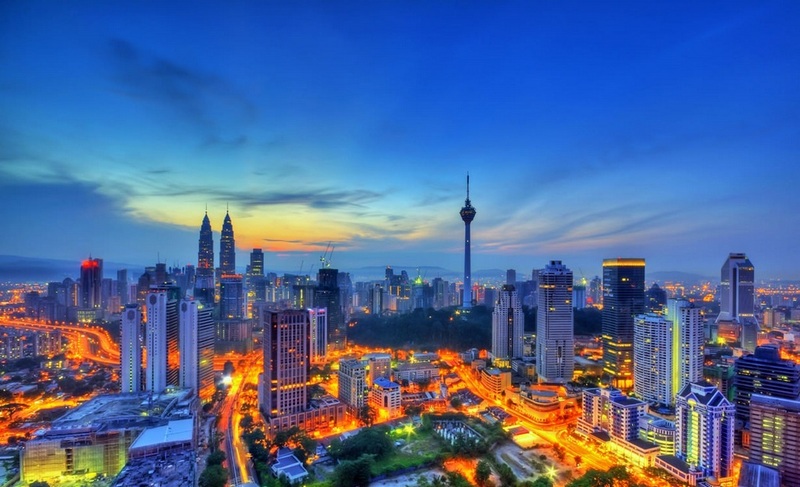 Kuala Lumpur – beautiful capital of Malaysia. 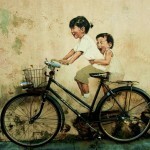 Source: hafizothman.wordpress.com. 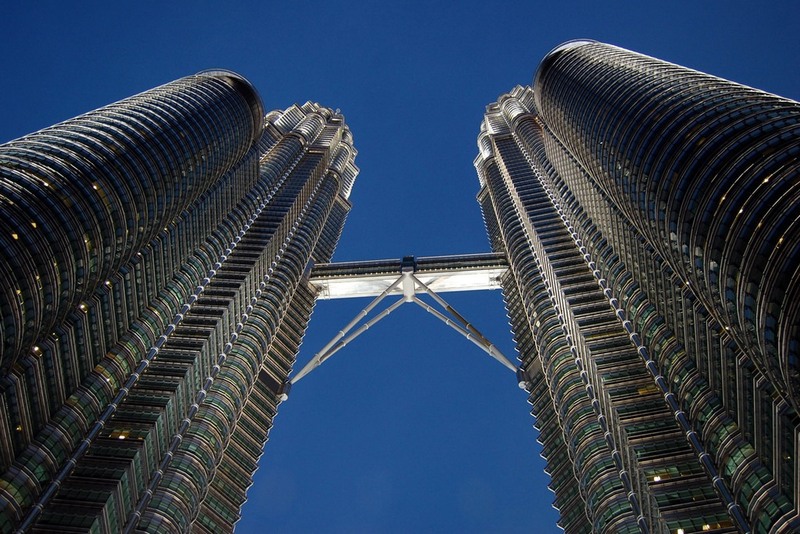 With the height of 452 meters and 88 floors, Petronas Twin Towers in Kuala Lumpur is considered the highest architectural work which includes twin buildings of the world. 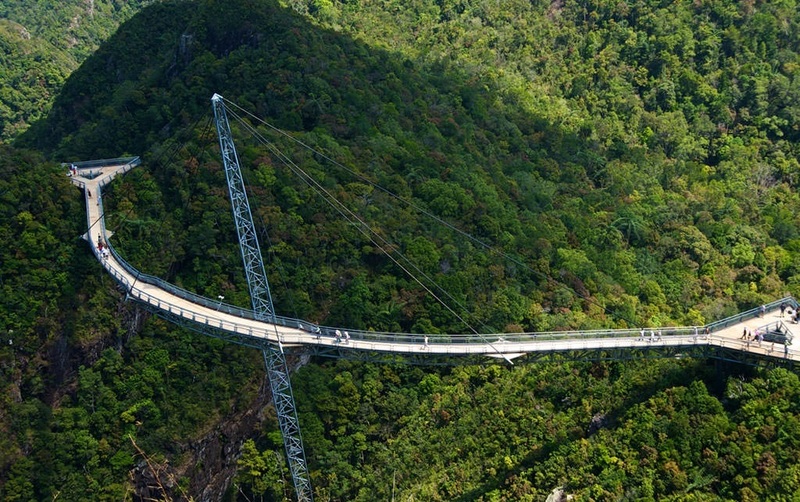 The 28 meter long Skybridge links 2 buildings on floor 41 and 42. 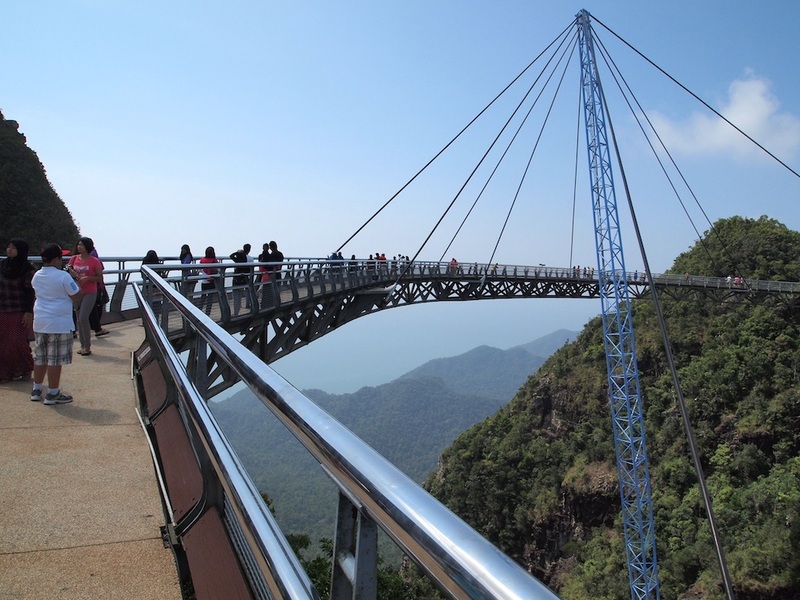 Because everyday, the number of tickets sold to visitors is limited, if you want to be on Skybridge, you’d better come early. 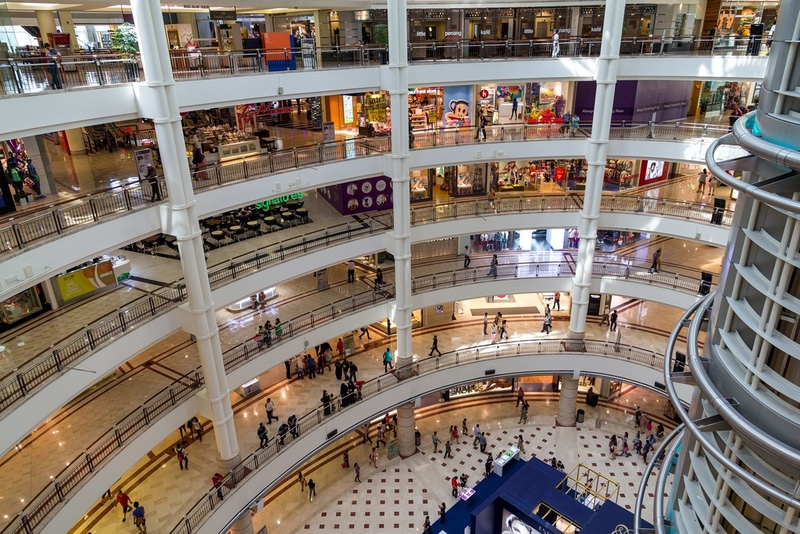 Some addresses for visitors to shop: KLCC (Lot No. 241, +60 03 2382 2828); Starhill (Starhill Gallery 181, Jalan Bukit Bintang, +60 03 2782 38556); Berjaya Times Square (1 Jalan Imbi, +60 03 2117 3111); The Curve (Mutiara Damansara, Petaling Jaya, Selangor, +60 03 7710 6868) và Pavilion (168 Jalan Bukit Bintang, +60 03 2118 8833). 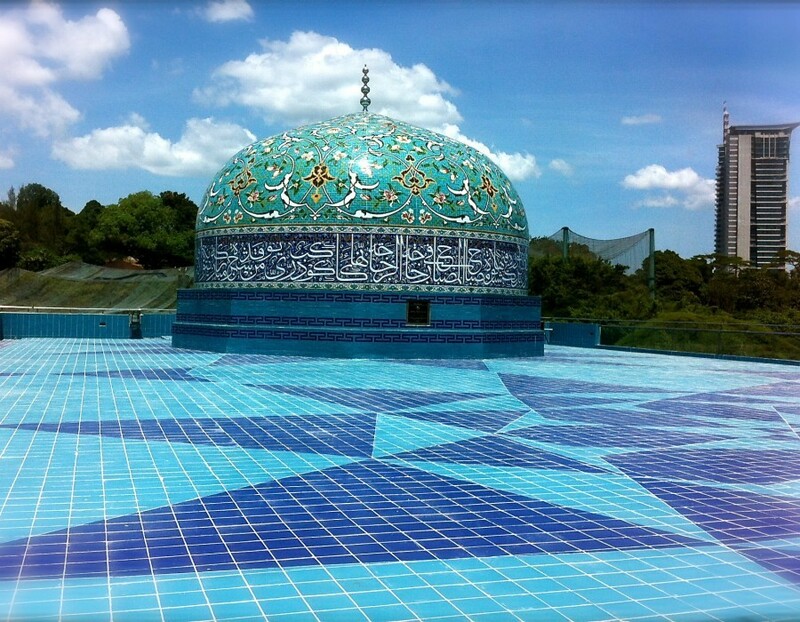 If you love the Islamic art, you can visit Islamic Arts Museum Malaysia. 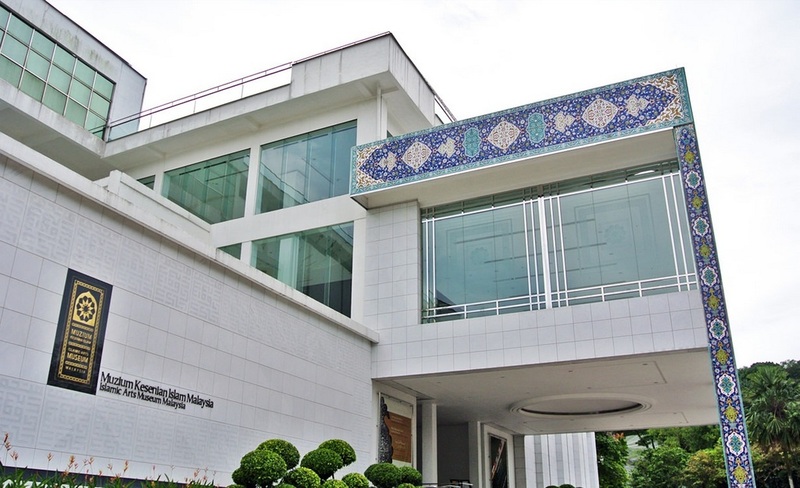 This place exhibits unique collections, which include many works of art from jewelry to the mini model of Mecca’s Masjid al-Haram. Outside the museum is a quiet and beautiful garden. It is considered a nice place to get away from the bustle and the noise of the city. Balcony at the Islamic Arts Museum Malaysia. Source: reddotstuff.com.